How nice to have friends as neighbors and neighbors as friends. Joe certainly enjoys hanging out with his friend (and neighbor), Lincoln. 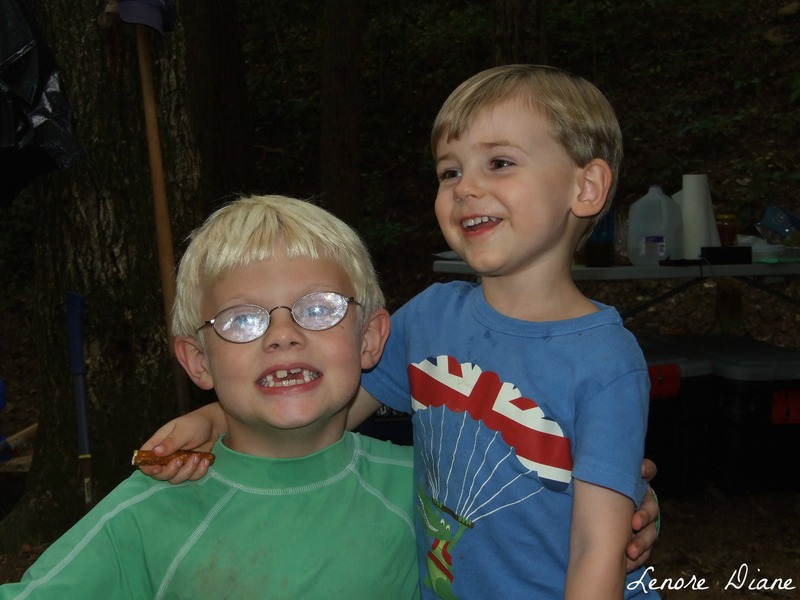 Joe and Lincoln were just two of the six kid camping crew. Nothing like a buddy for makin’ memories. They look like buddies. Glad everyone had a great time. Thank you, Patti. We did have a great time. Now that is a nice camping memory! We had such a wonderful time, Chris. We were left with many nice memories.